Experience is everything, and there are no shortcuts to becoming a safer rider. Oh wait, yes there is! You can read up on safety and avoid having to learn all the hard lessons yourself with your own body and motorcycle. Has an excellent section with riding tips. General guide to motorcycle safety. General information on motorcycle safety. An in-depth guide to motorcycle clothing. 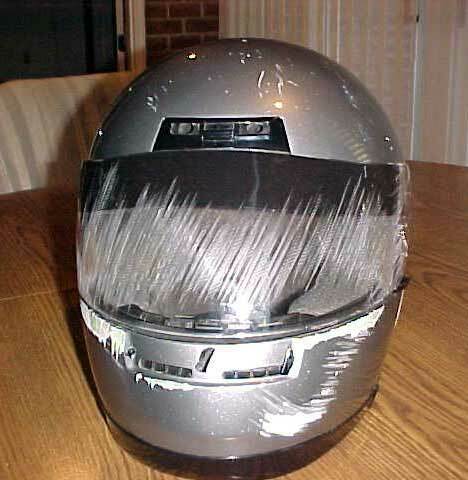 Web site containing lots of articles and videos concerning motorcycle safety. A great resource, containing informative and instructive publications, guides and brochures, as well as studies and research, all related to motorcycle safety. Membership-based national motorcyclists' rights organization involved in what's going on in the arena of motorcycling safety education, training, licensing and public awareness. Maintains a list of links to motorcycle safety training and education centers throughout the US. Offers a detailed guide to motorcycle laws and requirements in each state. Another motorcycle laws guide, this one optimized for printing. Contains a table detailing law specifics concerning motorcycle and bicycle helmet use throughout the US. See S7.9 for the motorcycle section and motorcycle headlamp modulation system.